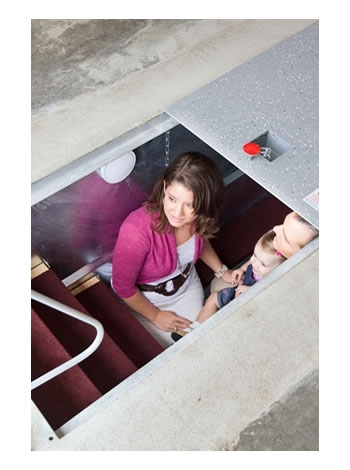 This below ground Tornado Shelter is installed underground in your garage and is accessible when a vehicle is present. 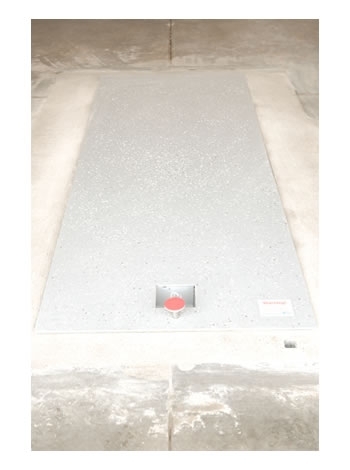 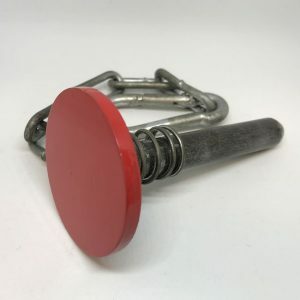 The shelter top allows for 360 degrees of ventilation, features a quick-access door release and emergency exit aid, and to help prevent against wear and tear, is coated in epoxy paint. 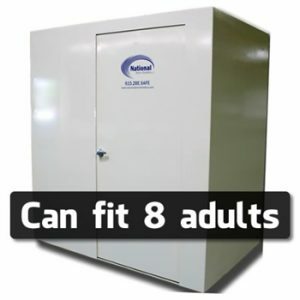 National Storm Shelters’ 3′ x 6′ x 5′ Tornado Shelter fits six to eight comfortably. 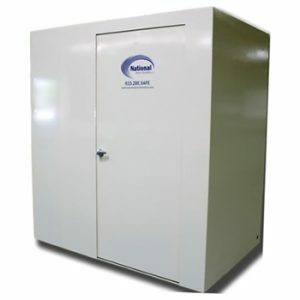 Our below ground Tornado Shelters have a solid, galvanized steel construction and a 45-pound metal anti-corrosion element. 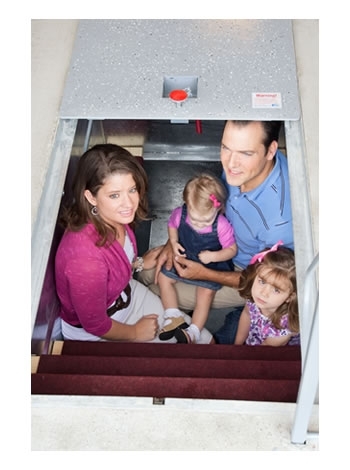 Tornado Shelters are installed underground in your garage and are accessible when a vehicle is present. 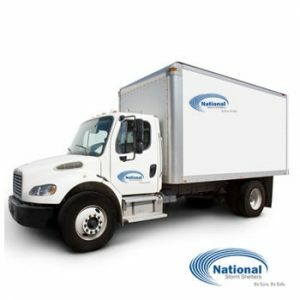 Installations are included in the initial price and are always completed by insured installers. 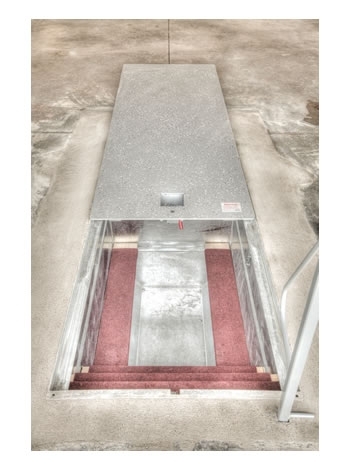 All Tornado Shelters are tested at Texas Tech, exceed the NSSA Standard and FEMA guidelines and are covered by a 25-year transferable warranty.